James Cleveland Owens is born in Oakville, Alabama. The tenth child of Henry and Emma Owens, JC has six brothers: Prentice, Johnson, Henry, Ernest, Quincy and Sylvester, and three sisters: Ida, Josephine and Lillie. Like thousands of black families throughout the South, the Owens are sharecroppers. 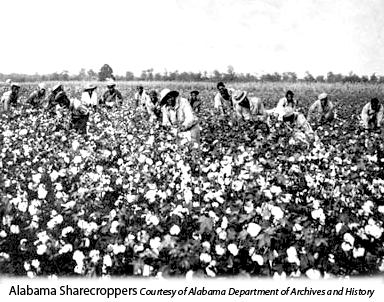 As sharecroppers, a landowner allows them to live on their property and use farm equipment in exchange for their hard work and half a season’s crop from the land they farm. The Owens sell the remaining half of the crop and with the little money, buy clothing and essentials. JC is a small and sickly child. It is a trial to nurse him through one cold winter after another, especially since his father, Henry, cannot afford to buy any medicine or pay a doctor. Little JC is wrapped in soft cotton feed sacks in front of the stove. He coughs, sweats and cries, sick with pneumonia for weeks at a time. As if that is not enough, terrifying boils appear on JC’s chest and legs. His father holds the crying child while his mother practices surgery in her own home, carving the boils out of his flesh with a red-hot kitchen knife. Through sheer will and the determination of his long-suffering parents, JC somehow survives these brushes with death. By age six, he is well enough to walk the nine miles to school with his siblings. School amounts to a one-room shack that doubles on Sundays as the Baptist church for the blacks of the area. The teacher is anybody who has the time and inclination to teach. During spring planting at harvest time, students work the fields instead of arithmetic problems. In spite of all the drawbacks and interruptions, JC learns to read and write. The original monument that stirred controversy in 1983, when the all white Lawrence County commission refused to put it on the courthouse lawn. 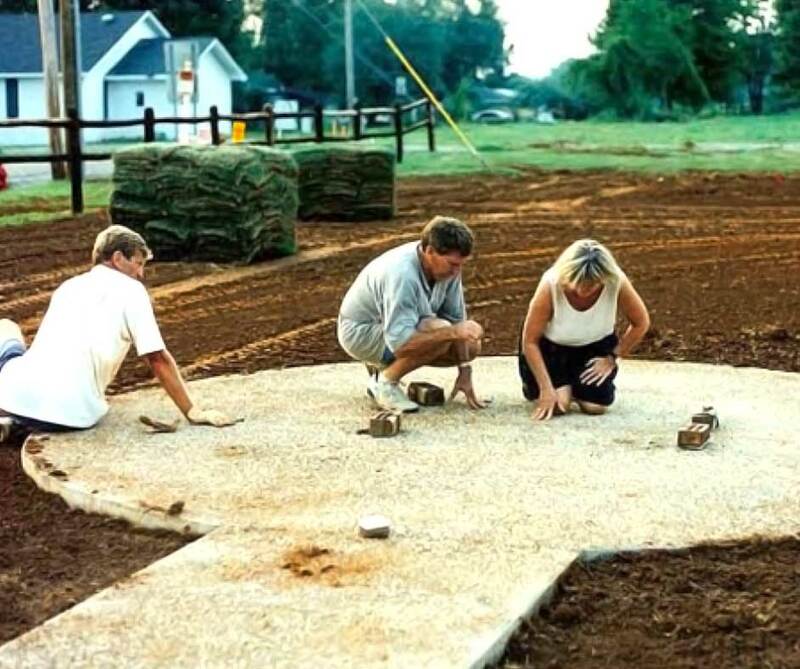 Instead it was erected six miles away in a tiny community, tucked away for few to ever see. 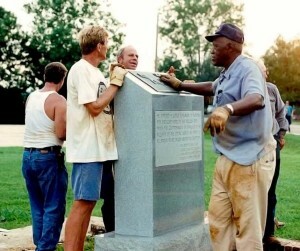 Later that same year vandals with a chain hooked to a truck tried to pull down the monument and local residents ran them off. 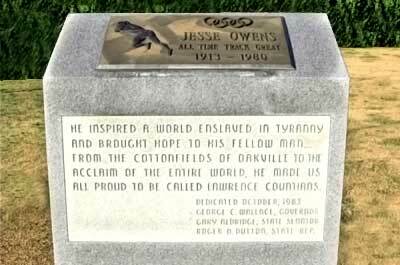 It has been relocated to its permanent home on the grounds of the Jesse Owens Memorial Park and Museum. It stirred up controversy that would plant the seed of injustice on this issue that would create action by one black man and one white man who came together a few years later to right this wrong. Pinion & White preparing to move original monument that was banned from the courthouse lawn in 1983 to its new home. Marking the placement for the new permanent home for the monument that caused so much controversy in 1983.